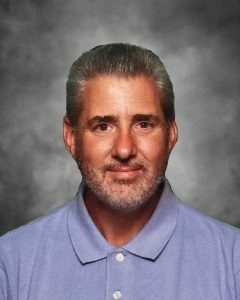 David A. Kahle, age 63, of Hutchinson, Minnesota, passed away Friday, February 8, 2019, at his home in Hutchinson. Memorial Service will be Friday, February 15, 2019, 3:00 P.M. at the Dobratz-Hantge Funeral Chapel in Hutchinson with interment in Fort Snelling National Cemetery in Minneapolis at a later date. Gathering of Family and Friends will be one hour prior to the service at the chapel. David Allan Kahle was born on November 28, 1955, in Rochester, Minnesota. He was the son of Dr. Marvin and Grace (Christle) Kahle. He was baptized as an infant and confirmed in his faith as a youth. He received his education at Gaylord High School in Gaylord. He continued his education at Willmar Technical College, achieving a Bachelor’s Degree in Nursing. David entered active military service in the United States Naval Service on February 20, 1973, and served on the USS Santa Barbara. He received the National Defense Service Medal and the Good Conduct Award Medal. David was Honorably Discharged on February 23, 1977. On March 16, 1976, David was united in marriage to Sylvia P. Huerta in Mercedes, Texas. David and Sylvia were blessed with three children. David and Sylvia resided in Hutchinson, Minnesota and later divorced in 2008. David was employed as a R.N. at Cokato Manor and the Hutchinson Hospital, retiring in August of 2006. David was a member of the American Legion Post #96 in Hutchinson. David loved his family. He enjoyed volunteering with Hospice, cooking, reading, crocheting, quilting, gardening, traveling and his dog. David also enjoyed spending time with his siblings. David passed away on Friday, February 8, 2019, at his home in Hutchinson, Minnesota, at the age of 63 years. Our condolences to the family of David Kahle, we are in Arizona sorry we can’t make it to the service. Church years ago! Comfort will be there for you as you heal.